As part of a healthy eating kick that I'll go into another day I've tried to switch out a few snacks here and there for things that are better for me. This includes adding fruit, and this little pot of goodness. 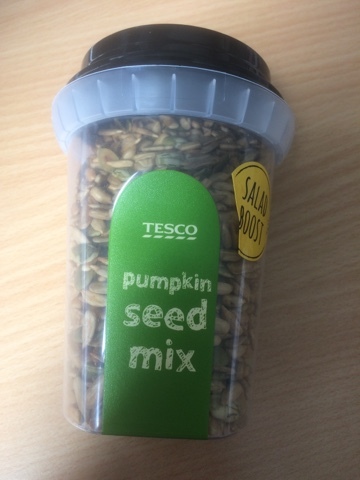 While not the most nutrient rich seed mix available, it's one of the best I could see at Tesco and has a little bit of pizzazz added too. I avoided the chilli mix one, but did allow myself the 4% Tamari to ease into this new food group. 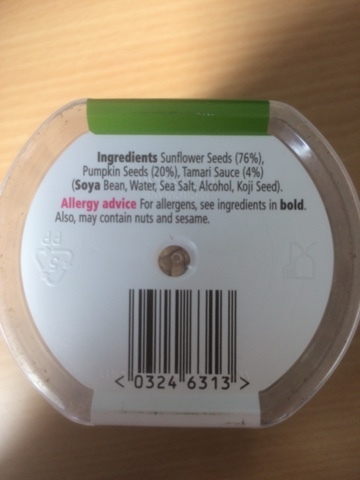 I think this was wise as the little tingle you get when you pour these onto the tongue ensures that ensures it's happy times when you crunch the seeds themselves. Whether I manage to get through the whole tub we will see, but at a fraction of the price of a Graze box I'm happy to try this and see how it goes. A nice crisps replacement and part of a few subtle changes for me.